An elegant suit for a variety of occasions, consisting of a tweed skirt and short jacked with eye-catching star-shaped neckline. 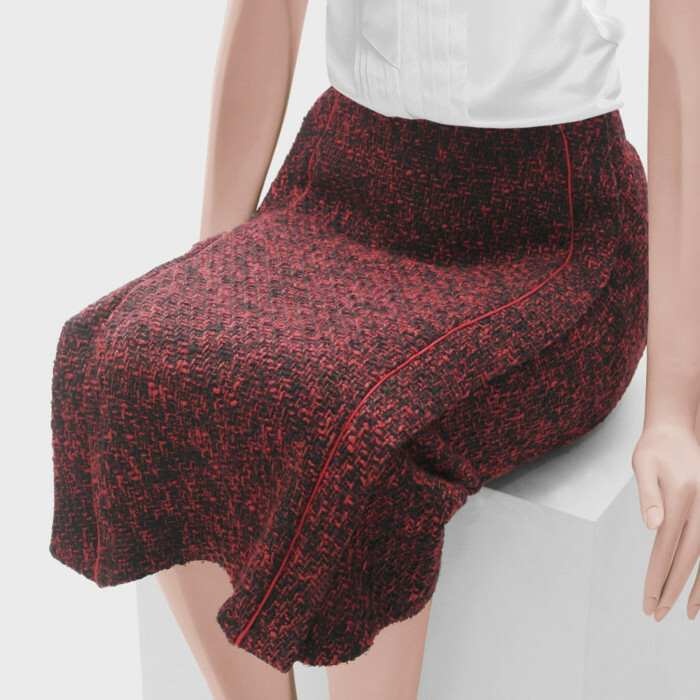 Red contrast trims create a slim silhouette. 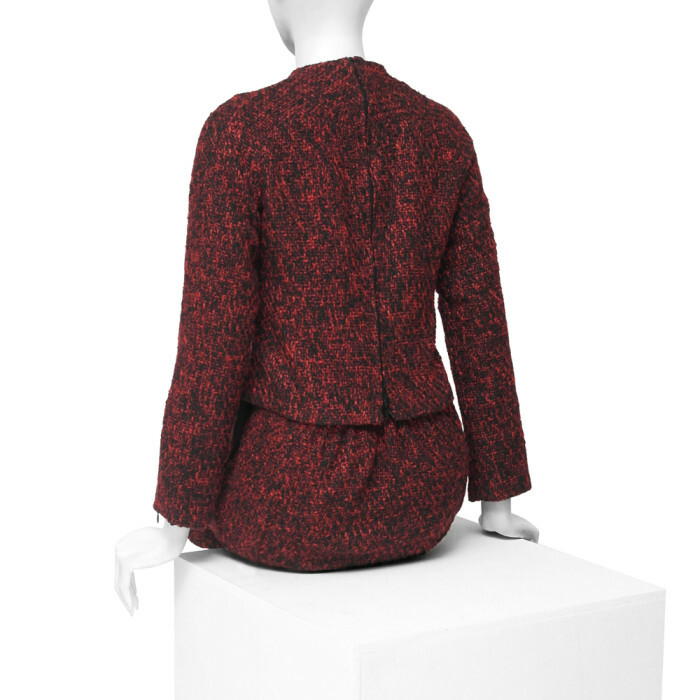 Suit Astrid consisting of a short jacket with star-shaped neck opening and matching skirt falling over the knee. 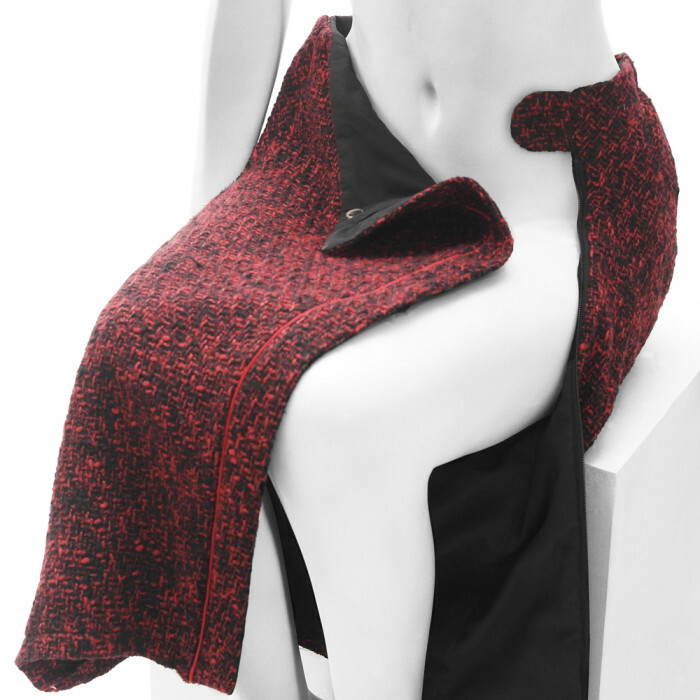 Made from a coarse red-and-black tweed in wool-look (100% PL). Lined with black cotton lining (100% CO). The red contrast trims on the front give a slim silhoutte. 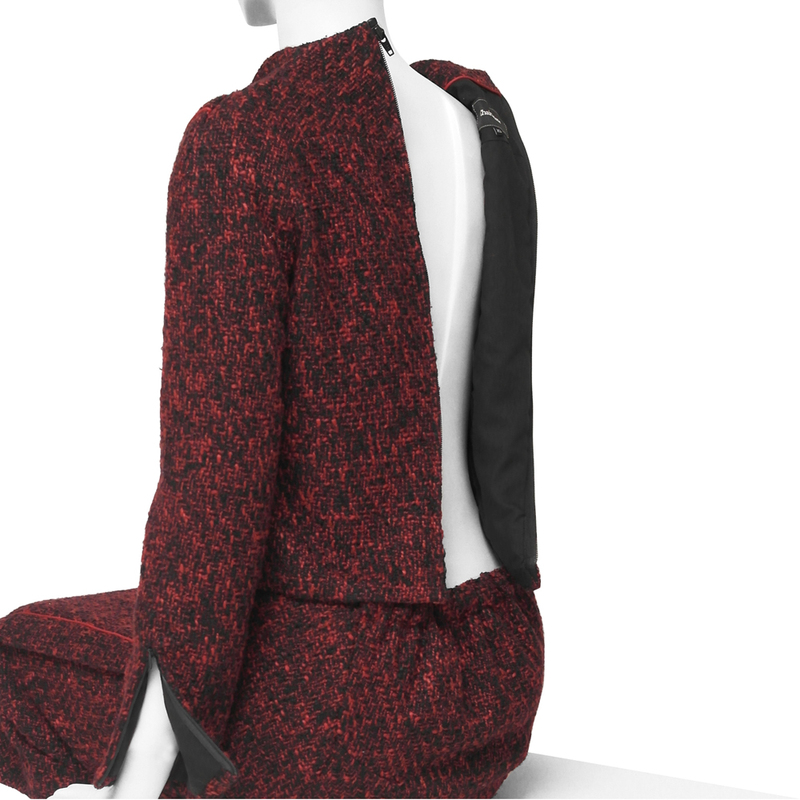 The jacket has an open-end zipper at the back: no need for the arms to reach backwards in putting it on. Back zipper placed upside down to allow zipping from the neck downwards. 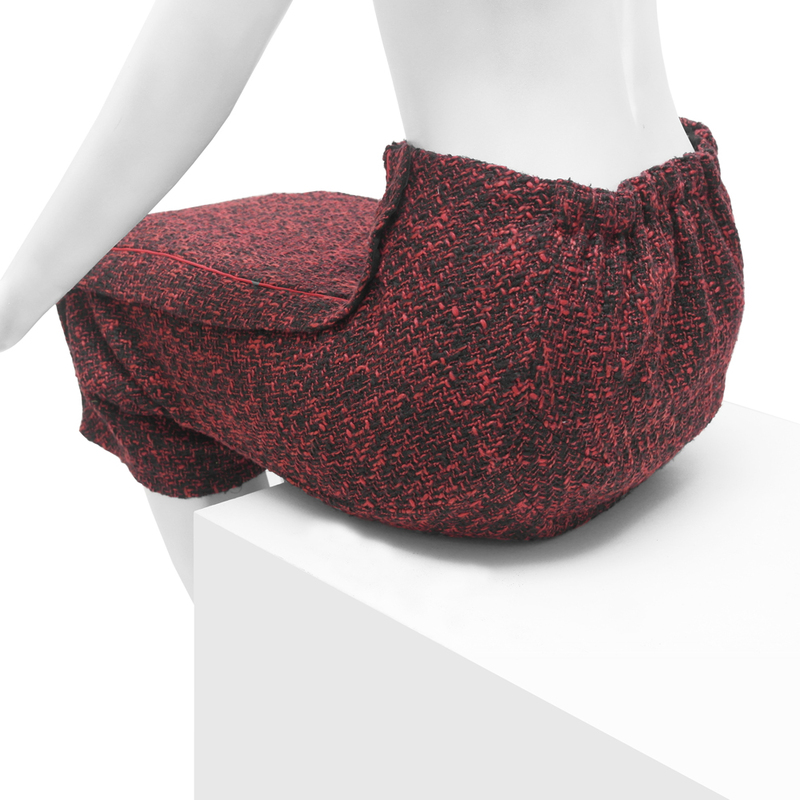 Extra space in the waist area to accommodate the waist in the sitting position. The sleeves feature short invisible zippers at the wrists. 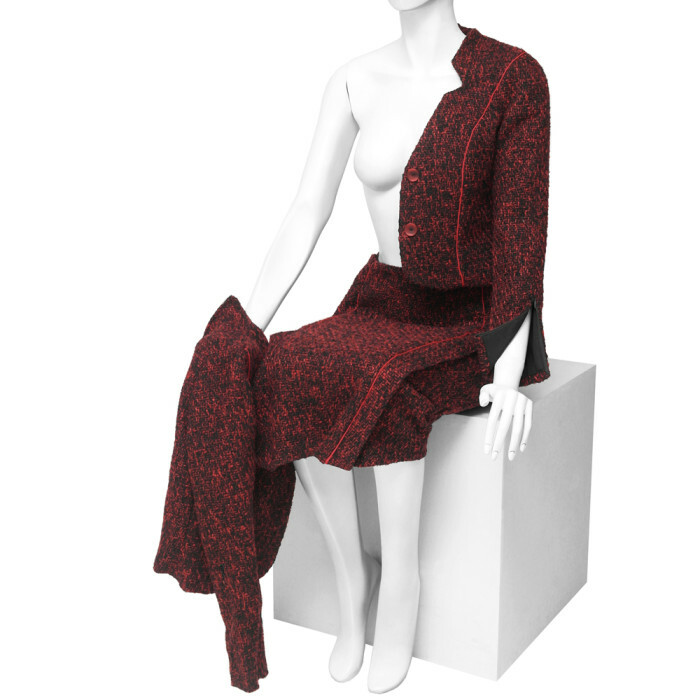 The skirt is made up of curved panels fitting the seated bod A front skirt decorative trim hides an open-end zipper allowing the skirt to fold open completely. Cleaning : Dry cleaning recommended.